. "Addie Aylestock". The Canadian Encyclopedia, 13 December 2017, Historica Canada. https://www.thecanadianencyclopedia.ca/en/article/addie-aylestock. Accessed 20 April 2019. "There was four of us — four girls. It seemed like we had the idea in our head to leave. 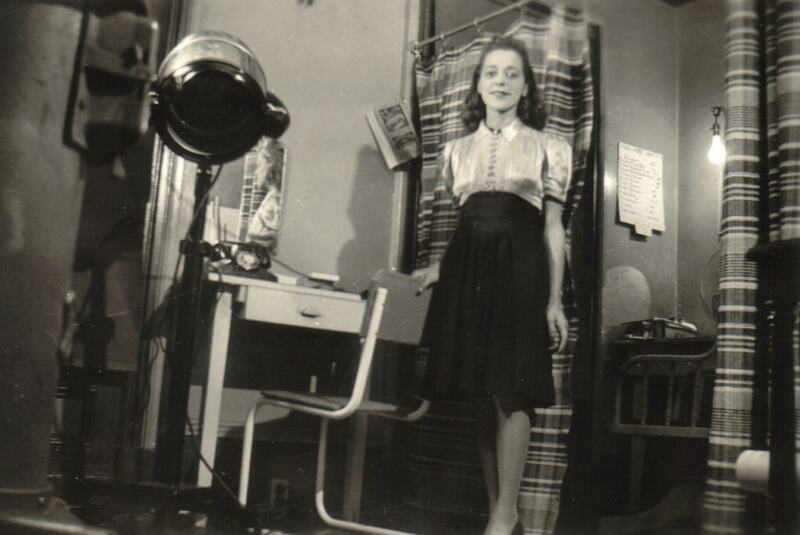 Most of us left home pretty early because our parents were poor and weren’t able to look after us… I know when I first came to Toronto there weren’t many opportunities for Black girls, in those days anyways. And then again, my parents were satisfied that I had a job in housework that I would stay in. I think I got fifteen dollars a month at the start — that was supposed to be enough for your clothes and your car fare." Aylestock felt a higher calling and attended the Medical Missionary College with the hope of working in Africa. However, in order to qualify for this foreign service, she would have needed to find additional means of first obtaining training in the United States. The Aylestock family traces its roots far back to Black settlers in Wellington and Waterloo counties, better known as the Queen’s Bush Settlement. Addie’s sister Rella Braithwaite (née Aylestock) is the author of a number of books and articles about African Canadians. Diana Braithwaite, Addie’s niece and Rella’s daughter, is a well-known blues musician in Canada. She has also directed films for television about the Underground Railroad, the network through which her ancestors escaped slavery in the United States and settled in Canada. However, she chose to remain in Toronto, furthering her training at Toronto Bible College (TBC) while attending the British Methodist Episcopal (BME) Church, a Protestant church in Canada that grew out of the African Methodist Episcopal Church (see Methodism). 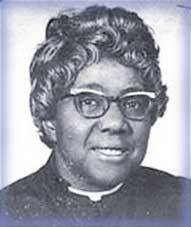 By 1944, she was a deaconess with the BME, and she graduated from TBC in 1945. The position of deaconess was a spiritual/community leadership role available to women — there were no higher spiritual positions at that time. She worked in the communities of Africville (just north of Halifax), Montréal, Toronto and Owen Sound, successively. In the early 1950s, the BME rules and regulations were amended, allowing for the ordination of women. Since Aylestock had the same responsibilities as her male colleagues, the superintendent of the BME Conference proposed a resolution to this effect. It was adopted in 1951 and Aylestock was ordained a minister, becoming the first ordained woman minister of the BME and the first Black Canadian woman minister in Canada. Since the BME had churches throughout Canada, during her more than 20 years as a minister, Reverend Aylestock was able to develop or further organize Ontario, Québec and Nova Scotia BME congregations. She also served as the general secretary of the BME Conference from 1958 to 1982. She died in 1998 at the age of 88. In recent years, the Ontario Black History Society has awarded the annual Rev. Addie Aylestock Award as part of its Black History Month celebrations. A version of this article originally appeared in Black History in Canada, a website developed by Historica Canada. Dionne Brand, ed., No Burden to Carry: Narrative of Black Working Women in Ontario (1991). Older Stronger WiserA brief synopsis of a documentary film that features African Canadian women talking about living conditions in the first half of the 20th century. From the website of the National Film Board.